Administrative/Biographical HistoryLouise Stein Sorensen was born in Rotterdam on February 12, 1929 to Isidor Stein and Marianne (Jeanne) van Dam. Her sister, Eleanor, was born in 1923. Sorensen’s immediate family moved from Rotterdam to Amsterdam in 1936. In late 1940 and early 1941, citizens of the Netherlands over the age of fifteen had to declare their Jewish ancestry and receive and carry identity cards. If a person had more than two Jewish grandparents they would receive a black J on their identity card. Sorensen’s father ran a fur coat factory; the business was appropriated in 1941. In June 1942, Sorensen’s family home and all its contents were confiscated by the Nazis. The family was moved to Amsterdam and placed in what would become the Jewish ghetto. Shortly after, they went into hiding, with help from a non-Jewish family friend in Hilversum who was able to help them attain forged identity cards. Sorensen used the false name “Loes van Boven,” and was separated from her parents and sister, and moved from home to home around the Netherlands with help from resistance workers. Sorensen and her parents were reunited in 1943, and hidden by a farmer and his wife in Apeldoorn, Netherlands. They stayed inside, in an attic, until mid-April 1945. While Sorensen’s immediate family survived, they later found out through the Red Cross that their extended family, from Rotterdam, had perished, in Sobibor and in Auschwitz. In 1959, Sorensen and her husband moved to British Columbia. She was a member of the Surrey School Board from 1976 to 1984. 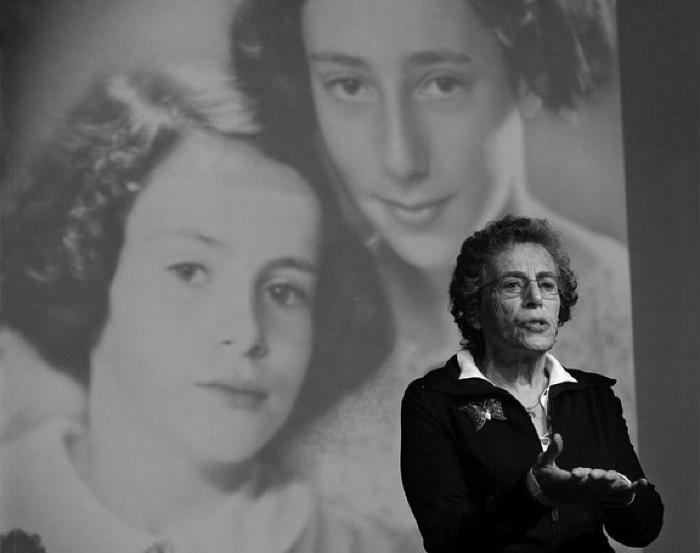 She has been an outreach speaker for the Vancouver Holocaust Education Centre, and was a member of the Gesher Project, a group of survivors and children of survivors who met regularly to explore painting, writing and discussion as a means of healing Holocaust trauma. Scope & ContentCollection consists of five items: war-time records belonging to Sorenson’s family, from their time spent in hiding in the Netherlands. These include official and forged identity cards and ration cards. System of ArrangementRecords are arranged in chronological order. Collection has been described to the item level. Item-level descriptions based on legacy FileMaker Pro database records.